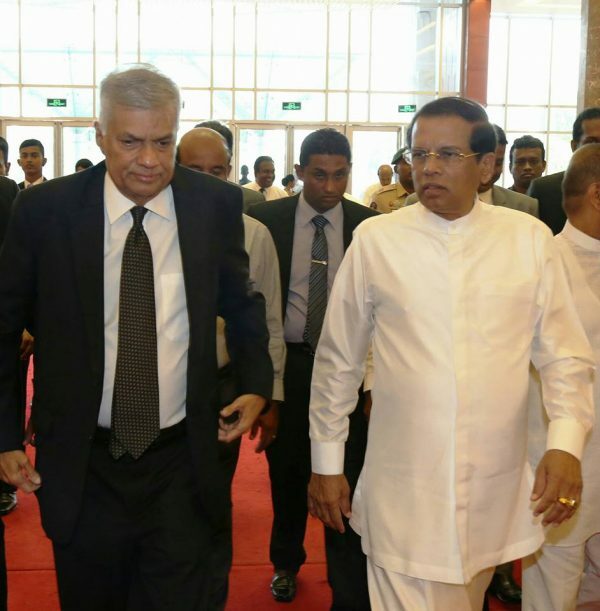 The coalition Govt of President Maithripala Sirisena and Prime Minister Ranil Wickremesinghe has – as one of its primary objectives – the political project of enacting and passing a new Constitution.This requires a two-thirds majority in Parliament and endorsement by the people in an Island -wide referendum. More importantly the Govt has been trying to justify its move to introduce a new Constitution by saying the envisaged Constitution would be sanctioned by the people at a referendum.While the Govt appears to be optimistic about garnering the necessary Parliamentary majority and obtaining the people’s approval at a referendum, current political trends as well as ground realities seem to suggest that holding the Referendum in the current context may very well backfire on the Govt. It is understood clearly that the interim report though referred to as a consensual document is not so in reality. The differing viewpoints expressed by the parties concerned in the annexures , euphemistically described as observations and principles , make it crystal clear that there is a serious divide among the would be Constitution makers. Thus the on – going constitutional conversation could breakdown or suffer serious setbacks as discussions progress towards the final report destination . There is also the chance of a drastically altered final report being compiled as a result of compromises and adjustments to bring about consensus. Whatever may or may not be its transformed version, the Steering Committee’s final report of draft Constitutional Proposals is expected to be submitted for consideration of the Constitutional Assembly early next year. If the Constitutional draft proposals are accepted and approved by the Constitutional Assembly , it would be submitted to the Cabinet of Ministers. Thereafter the cabinet will approve it with or without changes and present the Constitutional provisions to Parliament as a bill to get passed by a two-thirds majority. The constitutional assembly would stand dissolved. If passed by Parliament with a two-thirds majority,the approval and sanction of the people would be obtained by way of an Island-wide referendum. Winning the referendum on the Constitution therefore is of crucial importance for this government legally, politically and above all morally. It is in this context that the question of the Govt winning the Constitutional referendum arises. Of course the draft constitution or final product is not ready yet. The result of the referendum would very much depend upon the contents of or the substance of the envisaged constitution. The fate of the referendum would also be determined by the relative strengths and merits of the respective for and against campaigns. The opposition to the new constitution right now relies more on imagined or speculative complaints than on tangible evidence. It is only when the final version materialises that the opposition can train its guns more effectively on it. The final version would also facilitate the Government campaign to market the new constitution. Notwithstanding these realities, it is obvious that the dominant line of thought within the Govt and its allies at the present juncture is one of buoyant optimism that the referendum could and can be won. It is highly unlikely that the Govt would have embarked upon the Constitution project and proceeded so far without some degree of confidence that the referendum battle can be fought and won. Tamil Progressive Alliance(TPA) leader and National Co-existence, Dialogue and Official Languages Minister, Mano Ganesan summed up the Govt position aptly when he observed that winning the referendum would be difficult but it had to be won and so it would be won. The Govt’s greatest source of confidence in winning a referendum would naturally be its reliance on the strength of numbers. Numerical strength in this instance would mean the number of votes. At the January 2015 Presidential poll, Maithripala Sirisena obtained 6,217,1625 votes and defeated Mahinda Rajapaksa who got 5,768,09047. In the Parliamentary elections of August 2015, the United National Party (UNP) led United National Front for Good Governance(UNFGG) polled 5,098,916 Votes. The opposition United Peoples Freedom Alliance(UPFA) garnered 4,732,664.A significant number of Sri Lanka Freedom Party(SLFP) MP’s elected on the UPFA ticket in 2015 crossed over and currently are part and parcel of the ruling regime. The Sirisena-Wickremesinghe Government is called today a UNP- SLFP coalition Govt. Govt strategists opine that the Electoral results of 2015 would be repeated in a referendum also. The political support demonstrated by the UNP at the 2015 polls along with the fresh support brought in by the pro- Maithripala Sirisena SLFP MP’s is calculated to be greater than the prevailing strength of the pro- Mahinda Rajapaksa Joint opposition. It is surmised that the UNP-SLFP strength in Parliament would be reflected at the referendum also. In addition the Govt has support from two key allies also. The Tamil National Alliance(TNA) and Janatha Vimukthi Peramuna(JVP) polled 515,963 and 543,944 votes respectively at the 2015 hustings. Besides parties like the Ceylon Workers Congress(CWC) and Eelam Peoples Democratic Party(EPDP)are also expected to support the new Constitution. Sheer arithmetic therefore makes the Govt hopeful that the referendum could be won. If politics could always be determined by arithmetic alone the Govt expectations may succeed. But then politics is not a numbers game always. As Leon Trotsky famously observed “politics is more like algebra than like elementary arithmetic, and still more like higher rather than elementary mathematics.” (Oft quoted by Dayan Jayatilleka in his writings). In this instance too an assumption that arithmetic or numbers based on the votes polled in 2015 alone would deliver the goods at the referendum could be proved wrong. The Greek philosopher Heraclitus stated “No man ever steps in the same river twice, for it’s not the same river and he’s not the same man.” If I may adapt and adopt it to present circumstances , the electoral rivers of 2015 do not flow now in Sri Lanka. Likewise the political strengths of the different political parties in 2015 are not the same now. The electorate has changed. The electoral mood has changed. The perceptions and political views of the voting public has changed. The stock of political parties has risen in some cases and fallen in other instances. Making political calculations on the basis of 2015 could prove dangerously wrong in 2017 and the years after. In the first place people voted for political parties and individual candidates at elections. There were a number of issues,options and preferences involved. This is not so in a referendum which is conducted to determine a single idea or decide upon a single issue. In this instance the referendum would be on whether to accept or reject the new constitution. While a large number of voters may let party or personal loyalties influence their voting at the referendum , an equally large number of voters could also treat the matter on its own merits and cast their vote for or against the new constitution. If that happens a large number of people would cut across traditional party lines and vote. This would render calculations based on the 2015 polls irrelevant in assessing the referendum voting pattern. The possibility of some Govt constituents like the Jathika Hela Urumaya(JHU) going against the new Constitution cannot be ruled out. Govt political strategists also take ethno-religious factors into account in referendum voting estimates. It s widely acknowledged that Mahinda Rajapaksa remains the single most popular mass figure among Sinhala Buddhist voters. Already several provincial councillors in the East and North -Central provinces have deserted Maithripala and crossed over to Mahinda .Maithripala Sirisena may have given them posts and perks but it is to the Mahinda Rajapaksa star to which they must hitch their political wagons to gain electoral victory. In the current political environment, it is expected that Mahinda would spearhead the opposition campaign against the new constitution at the referendum. In that situation a larger percentage of Sinhala votes may be polled against the new constitution. Since the Sinhalese are the numerically large ethnicity in the Island the Govt could lose the referendum if that happens. Govt strategists hope to counter that possibility by relying on the minority vote. It is expected that the Sri Lankan Tamils, Muslims, Up Country Tamils of recent Indian origin and Sinhala Christians would vote in large numbers for the constitution at the referendum. The overwhelming support of the minorities is expected to augment the shortfall in Sinhala – Buddhist votes. 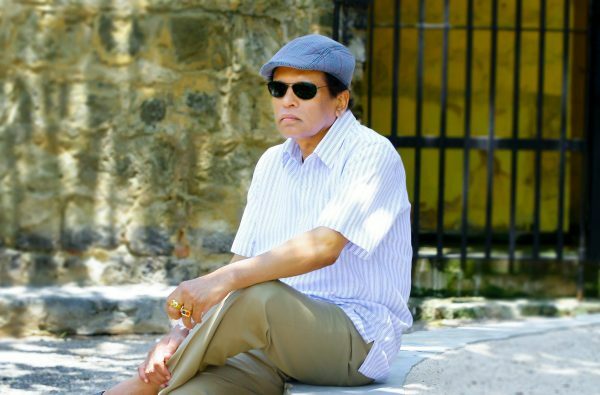 This prognosis is on the basis that there would be a re-play of preponderant minority support shown in 2015 for Sirisena at the presidential poll and for the UNP in the Parliamentary elections. Once again this assessment could be erroneous. It would be very foolish on the part of the Govt and even the respective leaders of ethnic – oriented parties to take the minority voters for granted. The hiatus between pledge and performance by the Sirisena-Wickremesinghe duo and the so called “Good Governance” Govt headed by them is so vast that there is a rising groundswell of resentment against the ruling regime. This has rubbed off greatly on its constituents within the govt and parties supporting it from outside. Besides the minorities are likely to be disappointed if the new Constitution does not accomodate all of their aspirations or redress their grievances(Virtually impossible), So even voters from the minority ethnicities could vote against the new Constitution or not vote at all in the referendum. The greater portion of minority community voters could vote in favour of the constitution but a significantly large number of minority community voters may boycott polls openly or refrain from voting at the referendum. This would cause a deficit in the number of minority community votes expected at the referendum. The minority ethnicity votes may help to influence the peoples verdict this way or that way but the ultimate factor that would determine the result of a referendum of this nature would be the majority or the Sinhala- Buddhist vote. This is because a referendum on the constitution is being depicted and portrayed to be a “life and death” issue concerning the future of the pre-dominantly Buddhist Sinhala population in this resplendent Island. It is being propagated already that the new Constitution would pave the way for the division of the country. It is also being said that some powerful Western nations, Non -governmental organizations and Tigerish elements in the Diaspora are conspiring to roll back the territorial re-unification achieved by the armed forces and establish “Tamil Eelam”. 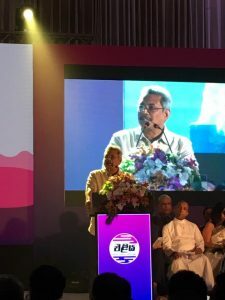 Former Defence secretary Gotabhaya Rajapaksa has formed the “Eliya”(Light)novement with the single point agenda of opposing and/or preventing the new Constitution. This columnist does not propose at this juncture to delve in detail into the merits and defects of the propaganda by the Sinhala “nationalist” lobby that the new Constitution would result in separation and the setting up of “Tamil Eelam”. What is important to note is the growing perception or suspicion among many members of the majority community that the new constitution is indeed a conspiracy to divide the nation and establish Tamil Eelam. This perception however wrong it may be is the prevailing reality. Such a perception can only be challenged and changed by an effective counter response. Such a response can only be mounted by Sinhala political leaders within the Govt. Sadly such a powerful response has not been forthcoming so far. What we have seen are apologetic semantics by the President and evasive backtracking by the Prime Minister. In essence the Govt is on the defensive with weak arguments in the aftermath of just an interim report. What is needed here is a powerful political offensive in support of the proposed new Constitution. I doubt very much whether any senior minister in this cabinet other than Mangala Samaraweera or Rajitha Senaratne would and could lead a proactive campaign in support of the constitution at the time of the referendum. The tragedy of the Sinhalese and by extension Sri Lanka has been the deep seated insecurity and fears of the majority community. The Sinhala psyche has often been called a “Majority with a minority complex”. It is only a strong, secure and confident numerical majority that will be more tolerant, accommodative and magnanimous towards numerically smaller minorities. Sadly the majority within the Sinhala majority continues to feel threatened and vulnerable even after the Liberation Tigers of Tamil Eelam(LTTE) was militarily defeated by the armed forces. I was speaking to a Sinhala, left -leaning academic hailing from the southern province about the current situation. This long standing friend of mine was one who supported Sirisena and even the UNP led front in 2015. He belongs to a family that has abhorred the “green elephant” for decades.Yet he voted in 2015 for the elephant symbol in order to bring about change. Today he is disgusted at the turn of events. In a long,insightful conversation, a point he emphasised strongly was the confused, indecisive state of affairs under the Sirisena-Wickremesinghe dispensation. This has affected the people on the whole and was leading to a breakdown in society. He used the term “anomie”popularized by the sociologist Durkheim to describe the condition of the people. He also concurred with me about the beleaguered state of mind among many Sinhalese. Again I do not wish to comment on this prevailing Sinhala state of mind and say whether it is right,wrong or in between.What is of importance here is to recognize the reality of its existence. In suc a beleaguered , insecure state of mind a people believing themselves to be besieged and vulnerable can only be on the defensive and somewhat defiant. Against that backdrop the referendum provides them an opportunity to articulate their suppressed feelings and strike a blow for themselves and against the perceived enemy. They will most likely vote against the proposed new constitution at the referendum. The Sirisena-Wickremesinghe Govt has aggravated the issue by its economic policies and bad governance. Agriculture the backbone of the nation is being neglected while grandiose schemes to turn Lanka into a tourist and shopping paradise are being mooted. Cost of living keeps rising. It took about four to five years for the term “Dharmishta Aanduwa” coined by JR Jayewardene to fall from grace and be mocked by the people. But in the case of “Yahapalana” the fall has been in less than two years. Furthermore it is being ridiculed as “Yamapalana”. In such a situation disappointed and frustrated people will like to display their feelings democratically at some sort of poll. Here the Sirisena-Wickremesinghe govt has erred badly by denying the voters their franchise. The local authority polls have been postponed for long followed by the denial of provincial council polls. The amendments to elections for both the Local authorities and provincial councils were passed in Parliament through “unorthodox” procedures during committe stages. Denying people the right to vote for long periods and then providing a chance to vote at a referendum can lead to a crushing defeat for the Govt. Finally there is the emotive “us and them”symdrome in politics. The proposed new constitution with some progressive provisions to help resolve the national question through maximum devolution will cause consternation(it already has begun) among those perceived as Sinhala “hawks”. The anti- constitution referendum campaign will definitely be conducted within the Sinhala community on ethnic lines with an emotional appeal in terms of race and religion. This in turn would result in similar sentiments rising to the fore among the Tamil and Muslim communities. Ultimately the appeal to voters would turn primordial and the referendum would become an “us versus them” contest. In such a context a closing of the ranks among the Sinhala people will result in the Govt facing defeat at the referendum. For all these reasons and more the Govt is very likely to lose the referendum on the constitution unless a political miracle occurs. The Sirisena-Wickremesinghe Govt needs to proceed carefully before rushing into areas where even angels may fear to tread. Furthermore the referendum – whatever the result – can fracture ethnic relations and further divide the country ethnically. The country needs to reconcile and the Govt and its allies feel the new Constitution could hasten the reconciliation process further. Winning the referendum on the constitution is expected to boost reconciliation and ethnic harmony. It would be a cruel irony if the referendum backfires on the Govt and defeats the very purpose for which it was conducted. « Political Parties Face Challenge in Selecting Suitable Women Candidates to Meet 25 % Women Representation Rule.